Speaking at the IMF-World Bank conference in Bali this week, Indonesian finance minister Mulyani Indrawati announced that a new integrated approach to disaster risk management is critical to protect the public’s assets and enhance. As a consequence, the government will start insuring government buildings from next year. 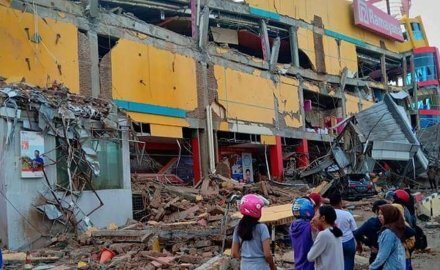 Indonesia, which is regularly battered by natural disasters, incurred material losses of around Rp126.7 trillion (US$8.3 billion) from 2004 to 2013. The recent Sulawesi quake-tsunami will result in substantial damages, and has killed at least 2,000 people. According to World Bank president Jim Yong Kim, Indonesia may harness other alternatives for its disaster financing needs such as the Southeast Asia Disaster Risk Insurance Facility, which was launched earlier this year in collaboration with Japan. Trying to place detailed financial risk on cyber insurance. Willis Towers Watson observes insurers are returning to technical underwriting in Asia. The current geopolitical backdrop is inauspicious for resolving the many protracted conflicts that persist around the world.